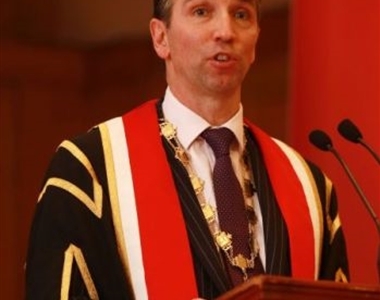 The President made his comments during the Law Society’s Admission Ceremony at Whitla Hall at Queen’s University in Belfast on Wednesday 5th March, before a packed audience including the Lord Chief Justice for Northern Ireland, Sir Declan Morgan. “Be optimistic about your future and that of your colleagues. Seek to make a contribution to building a better tomorrow rather than simply concentrating on the situation today. 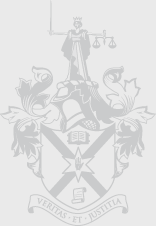 The future of the profession is in your hands so take pride in the fact that you are a Solicitor and that you have an important role to play in all aspects of society”. 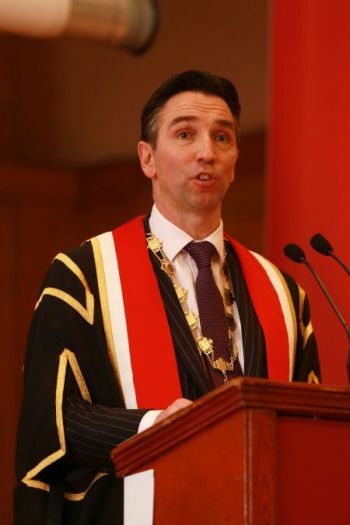 As part of the Admission Ceremony the Registrar of Solicitors, Alan Hunter presented the newly admitted solicitors to the Society’s President and to the Lord Chief Justice for Northern Ireland, Sir Declan Morgan. Before proceedings came to a close the Society made two special awards to Andrew Davison for excellence in his Professional Conduct exams and to Sarah Kennedy for excellence in her Solicitor’s Accounts exams.